1. A) Wash the chestnuts and boil in about 2 cups of water on medium heat. B) Allow to cool (I placed mine in cold ice water) then peel and scoop the chestnut out. 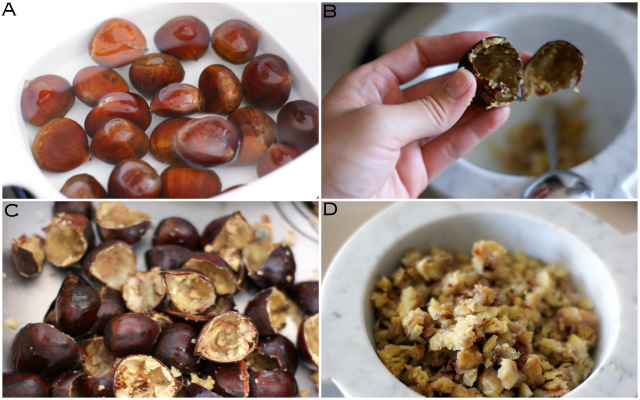 C) Peeling chestnuts is no fun. But definitely worth the hassle. 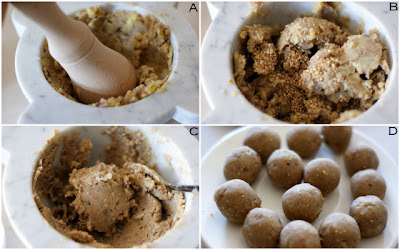 D) Place the peeled chestnuts in a mortar and pestle. 2. A) Mash the chestnuts. B) Add the sesame seeds, honey, salt &amp; cinnamon. C) Grind until smooth and mix well. D) Form into balls. 3. A) Using a food processor add the pine nuts. 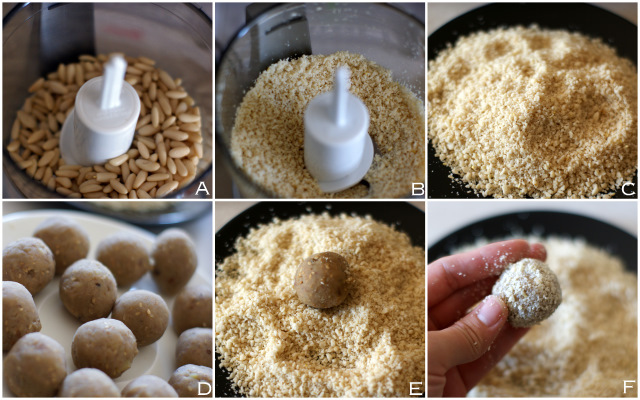 B) Coarsely grind the pine nuts. C) Place the ground pine nuts on a plate. D) Take the prepared chestnut ball E) Place it in the ground pine nuts. F) Evenly roll the chestnut to coat. Repeat.